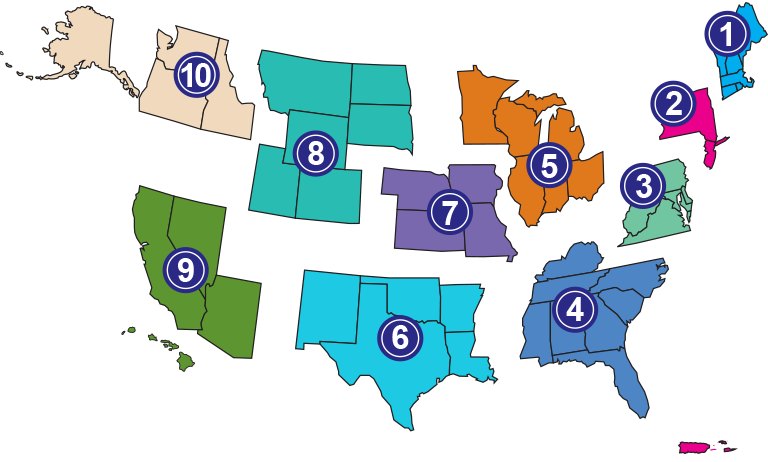 Funded by the National Institute on Disability, Independent Living, and Rehabilitation Research (NIDILRR), the network consists of 10 Regional ADA Centers located throughout the United States and an ADA Knowledge Translation Center (ADAKTC). Each Regional ADA Center focuses on its region’s unique needs. This regional focus is critical to ensuring that ADA National Network services meet the needs of a diversity of populations and stakeholders throughout the country. * The Survey of Income and Program Participation (PDF | 622 KB) (SIPP), 2010. The ADA is the first comprehensive civil rights act for people with disabilities. It was passed by Congress and signed into law by President George H. W. Bush on July 26, 1990. The ADA protects people with disabilities from discrimination in all aspects of employment, in access to public programs and services such as transportation, and in access to public places like businesses, restaurants, stores, hotels, places of entertainment, and other service establishments. The ADA has empowered people with disabilities by banning discrimination on the basis of their disability and by making it possible for them to participate more inclusively in their communities. Although there have been significant changes since the ADA was passed in 1990, people with disabilities continue to encounter barriers that affect their ability to live, work, and recreate freely in their communities. Whom does the ADA National Network Serve? Since the ADA National Network was started in 1991, it has served all sectors of society, including those with responsibilities under the ADA such as businesses, employers, state and local governments, architects, disability organizations and individuals with disabilities whose rights are protected under the ADA. What services are provided by the National Network? ADA specialists in each of the ten Regional ADA Centers provide information and guidance to anyone requesting ADA information through 1-800 calls, emails, and in-person consultations. ADA specialists address complex questions on a wide range of ADA topics such as reasonable accommodations at work, building codes for new construction projects, accessible housing, and transitioning from school to work. In collaboration with the ADAKTC, Regional ADA Centers develop evidence-based factsheets and guidebooks on high priority and timely ADA topics such as service animals, effective communication, accessible parking, and how to plan accessible events. ADA Centers also develop and provide information specific to their state laws and regulations, and offer an extensive network of regional referrals. Training is provided in-person or through distance technology such as webinars, podcasts and web courses. The majority of training activities are conducted at the local, state or regional level and are tailored to meet the needs of each specific audience. The following brochure includes a description of the national informational and training projects of the ADA National Network.